Desert Springs Hospital Medical Center surgeons will use minimally invasive techniques when doing spinal surgery, whenever possible. If you are looking into spine surgery, ask your doctor if a minimally invasive procedure may be right for your particular situation. It is not always the best option for everyone, but it is in many instances. In minimally invasive surgery, surgeons make small incisions and use small cameras designed for viewing internal portions of the body. This inside view of the body is projected onto monitors in the operating room to aid the surgeon during the procedure. 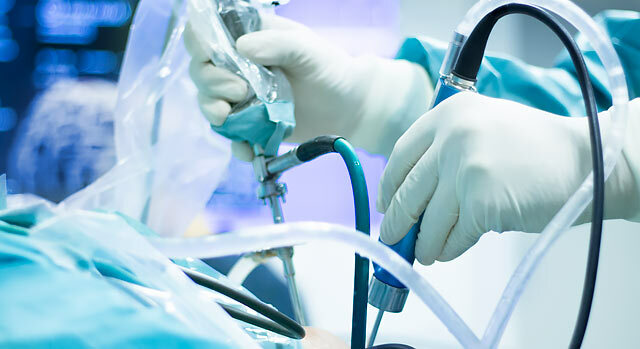 Minimally invasive techniques often offer several advantages over open surgery (in which one large incision is used), including: smaller incisions and thus smaller scars, minimal muscle-related injury, a shorter hospital stay (two to three days versus five to six), reduced postoperative pain, a shorter recovery period and the ability to return to work and daily activities sooner. Below are some of the minimally invasive procedures offered at Desert Springs Hospital.